It’s NOT the Network. It’s la Fiesta Total! I suppose my career counselor was right when he said advertising was not for me. Otherwise, how could I possibly explain my failure to conceive a creative piece like the one below? 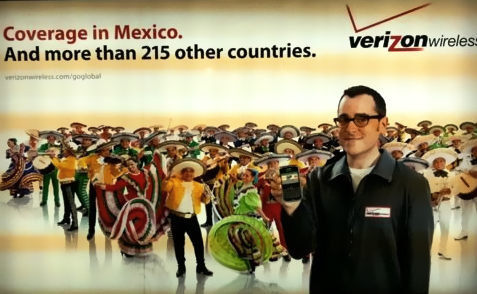 Showing mariachis and folkloric dancers to show your cellphone provider has coverage in Mexico??! This entry was posted in Marketing & Advertising, Print media. Bookmark the permalink.